February is the month of romantics, and here at Boho Pretty we have an ongoing romance with vibrant colors, fun patterns, and all things fashion. As we are all anxious for the upcoming warm weather and the transitional clothes of spring, we wanted the February subscription box too include the trends for the upcoming season. These pieces are ones that are perfect to be worn alone or layered. In this month’s box you can find that our Boho Pretty Stylists put a lot of love into finding unique clothes and accessories for your individual preferences and styles. As always, our goal is to bring affordable fashion to your door! December is here and so are new subscription boxes! With the new month we have been busy planning the December subscription boxes and finding the perfect clothing pieces, accessories, and a fantastic indie designer item to include! With every month the boxes never cease to be filled with the most fashionable goodies. We are so excited for you to see what surprises are inside your box this month! Each item is handpicked by our Boho Pretty Stylist to meet your fashion needs and complement your style. For us putting together each box is like picking out a special gift! It takes us a while and lots of contemplation to decide exactly which pieces we should send to you! We hope you enjoy what you find in this month’s box! Check back later this week on our blog to find a little more about why we choose these pieces in the December subscription box and all about our indie designer! 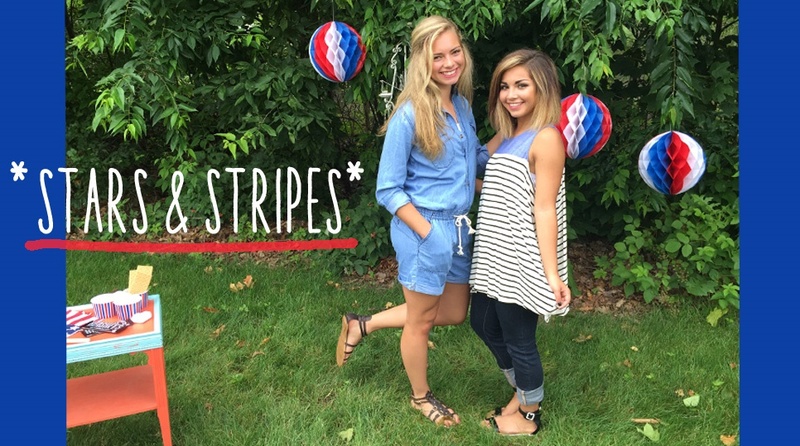 We’re adoring the Independence Day Collection we’ve put together for all of our Boho Pretties! 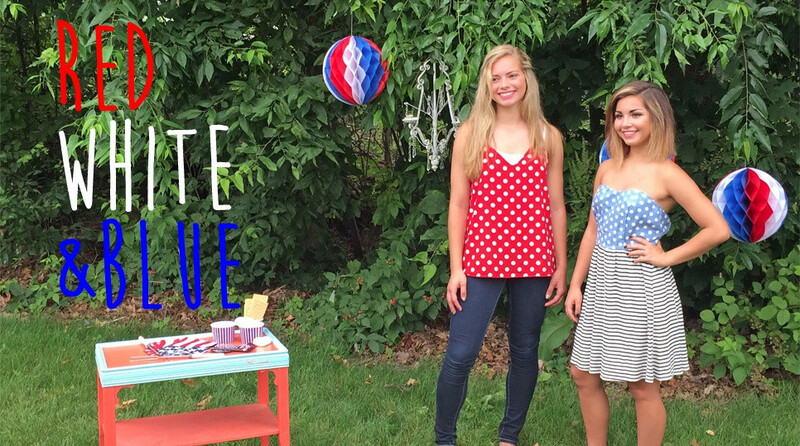 Shop Entire Boho Pretty Independence Day Collection Here. In honor of Valentine’s Day tomorrow, I have compiled a list of 5 signature looks that you can try out. Whether you have a smokin’ hot date, a girls only night or a romantic anniversary, maybe these looks will heighten the excitement about February 14! The Romantic is for those hopelessly in love. It combines soft ivory or cream colors with lace or cotton. Think adjectives like: lovely, sweet and beautiful. 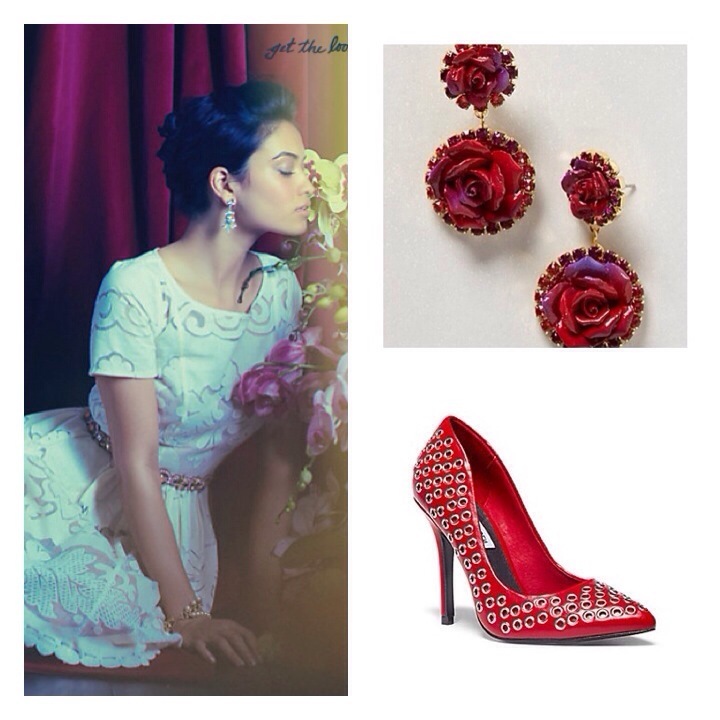 This look is composed of a soft color palette, florals, intricate gemstones and killer shoes. Channel Audrey Hepburn all the way. Opt for subtle makeup choices that give you that glowing effect and take it from there. Remember, the romantic look is a blend of simple beauty and soft warm hues. There’s only one word to describe an edgy look: fun. When going for an edgy look, you can’t be afraid to just go for it. Challenge those fashion boundaries and put a new definition on Valentine’s Day style. Opt for the bold red or dark lip with this look. This look includes fresh unique designs, geometric patterns, cutouts and daring shoes. The shoes are the focal point of the entire look. 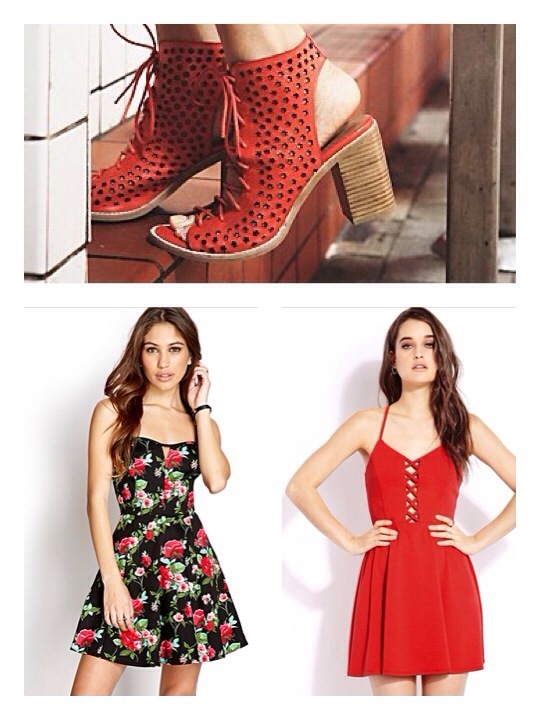 Pair a cute flirty dress with fierce combat boots, laced heels or studded heels that let him know you’re not just an ordinary girl, no where close. 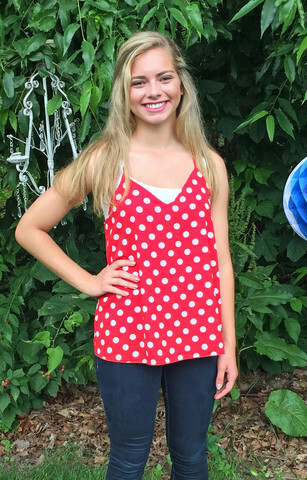 The Feminine looks puts a fresh twist on the “girly-girl” fashion style. It mixes together beautiful a-line or scooter dresses, lace, bold prints, florals, short or long hems, low cut, high-necked or backless pieces. Opt towards makeup with rosy cheeks, glitter eyeshadow, lots of mascara and a beautiful pale pink lipshade. Pair your dress with a pair of classic heels or daring stilettos, your choice. When I think of classic, women like Kate Middleton, Jackie Onassis, Michele Obama and more come into mind. These are women who are not only the most talked about media wise, but also relating fashion. They have a unique sense that manages to use gorgeous couture dresses and create a timeless look out of them. If timeless is what you’re looking for this Valentine’s Day, then The Classic is perfect for you. Go for a dress with a simple cut, modest neck line and full skirt. Keep it classy and beautiful! Add to this look with a pair of pearl or diamond studs or jeweled drop earrings. Each simple touch makes every bit of difference and creates the timeless, classy look that he’ll remember forever. It often doesn’t take much to wow your man. Sometimes the carefree, casual and beautiful woman before him is all he wants, so give him that this Valentine’s Day. Don’t go all out. Keep it personal, endearing and perfect just for the two of you. Here are some looks that will help you out. 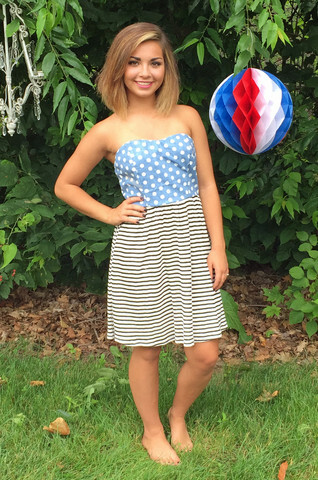 Try out a simple summer dress, something simple, cute and elegant all in one. Also, smoking loafer flats are a great way to keep your look casual, trendy and cute. I don’t know about you, but flats always make me feel cute and dainty. Add a touch of style, a touch of makeup and subtly curl the edges of your hair, but other than that, the “real” special part of Valentine’s Day is that you’re there with him. Each look is unique, but feel free to blend different pieces of each one together. Fashion is all about morphing your own personal style, taking from each style and making your own. I wish you a very memorable Valentine’s Day! If you are in search of fun and inspired filled information about fashion, beauty tips, DIY’s and more, you have come to the right place. If you are in need of reading material featuring maxi dresses, leather boots, floppy hats, floral headbands or are inspired by the unique fashion style of Kate Bosworth, Vanessa Hudgens, Nicole Richie, Ashlee Simpson, Sienna Miller and more then you have come to the right place. If you want to indulge in fabrics, sequins, lace, details, design, beauty techniques and the cute new innovative ways you can introduce and play with fashion and beauty in your life, then you have definitely come to the right place. and I am Camille Sarabia. I will be discovering more about the world of fashion and beauty right along with you, but here is just a little bit about me. I am currently a junior at Indiana University studying Magazine Writing Journalism. It’s what fuels my day knowing that I get to wake up everyday doing what I love most, writing. It’s truly a great opportunity to be able to sit down and share my love for fashion, beauty and writing with all of you. I truly hope that when the day ends and a new one comes, you will be infinitely more informed about fashion and beauty, that you will see yourself as a beacon of fashion and beauty and that you will live everyday fearless, full of life and expecting the best of each new day to come. 2. I love hats. Sadly, I don’t wear them that often though because they’re hard to see in when I walk. 3. I love food (and I’m not ashamed to admit it). Ever since I started cooking for myself I have been experimenting with various dishes and desserts. Some of them weren’t such a success though, just ask my roommate. 4. I love anything cultural. I come from a home and an environment where multi-cultural people, foods, languages and lifestyles are just another day in my book. I love learning more about them everyday. 5. I have learned that there’s no real way to describe you style. Yes, you can be preppy, bohemian, vintage, rocker, classic ect., but really, you wear what you like. You wear what interests you and you embody that style. It is a piece of you. You wear it, not the other way around. If you ever want to learn more about me or Boho Pretty never hesitate to ask. Here’s to more exciting news and posts to come. Our brand is off to a great start after some lovely photo shoots recently! Our very first photo shoot at Taylor Turn Stable was a definite success! We had such a great time working with Kyle Taylor, owner of the stable, and her horses! Our model Jacqline loved being at the stable and was a natural working with these beautiful horses! Our photographers got some amazing shots! We can’t wait to share them with you once our mobile boutique is up and running! We hope you liked these photos of our first lookbook! Want to see more?! Check out the whole lookbook on our website! Follow us on Facebook, Instagram and Twitter for more updates from us! Posted on July 26, 2013 July 27, 2013 Categories Early StagesTags barn, basics, boho, boho pretty, fashion, horses, lookbook, style, taylor turn stableLeave a comment on Our First Lookbook!